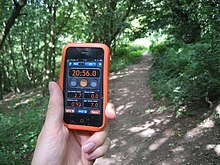 In 2012, the launch of pricing for Google Maps led several prominent websites to switch from their service to OpenStreetMap and other competitors. 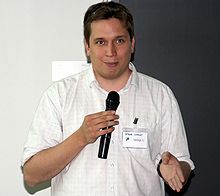 Chief among these were Foursquare and Craigslist, which adopted OpenStreetMap, and Apple, which ended a contract with Google and launched a self-built mapping platform using TomTom and OpenStreetMap data. ^ "Openstreetmap.org Traffic, Demographics and Competitors - Alexa". www.alexa.com. Retrieved 9 April 2019. ^ "OpenStreetMap stats report". OpenStreetMap. OpenStreetMap Foundation. Retrieved 16 April 2019. ^ Coleman, D. (2013). "Potential Contributions and Challenges of VGI for Conventional Topographic Base-Mapping Programs". In Sui, D.; Elwood, S; Goodchild, M. (eds.). Crowdsourcing Geographic Knowledge: Volunteered Geographic Information (VGI) in Theory and Practice. New York, London: Springer Science+Business Media Dordrecht. pp. 245–264. doi:10.1007/978-94-007-4587-2. ISBN 978-94-007-4586-5. ^ Coast, Steve. "Changest #1 on OpenStreetMap". 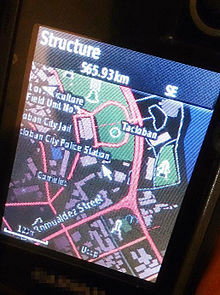 OpenStreetMap. Retrieved 19 September 2018. ^ Sinton, Diana (6 April 2016). 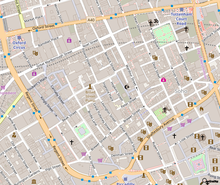 "OSM: The simple map that became a global movement". The Directions Mag. Retrieved 19 September 2018. ^ "Welcome to Vespucci". Retrieved 28 March 2018. ^ "Map editor". 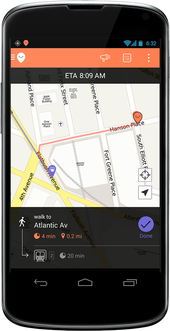 maps.me. Retrieved 28 March 2018. ^ "Fast Traffic Sign Mapping with OpenStreetMap and Mapillary". The Mapillary Blog. 21 August 2017. Retrieved 11 September 2018. ^ "Microsoft releases more than 100 million Building Footprints in the US as open data". Geospatial World. 3 July 2018. Retrieved 11 September 2018. ^ "Microsoft Releases 125 million Building Footprints in the US as Open Data". blogs.bing.com. Retrieved 11 September 2018. This page was last edited on 16 April 2019, at 10:24 (UTC).